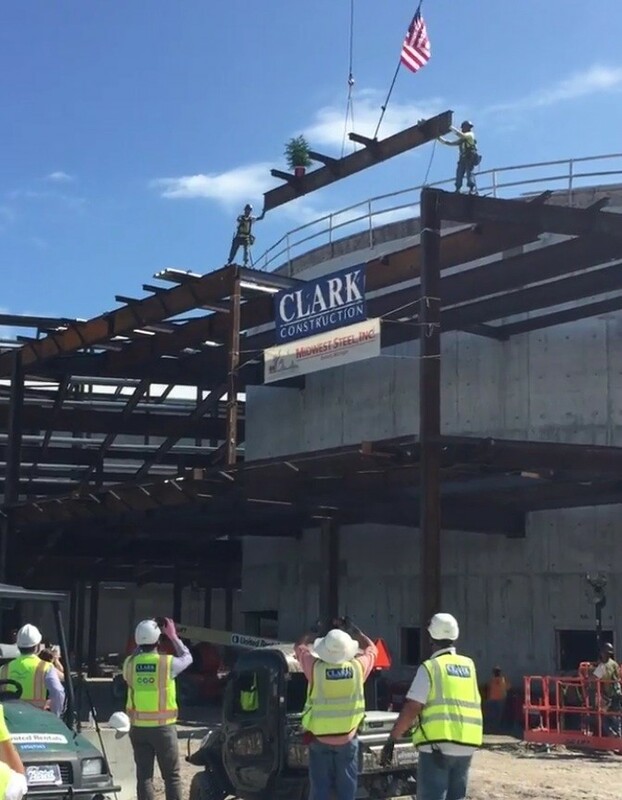 The construction of the new Miami Beach Convention Center reached a milestone yesterday with the placement of the final steel beam, marked by a Topping Out Ceremony. The ceremony is a Scandinavian custom dating back a thousand years, though the details of the custom depend on who’s telling the story and, like all folklore, has morphed over the years. 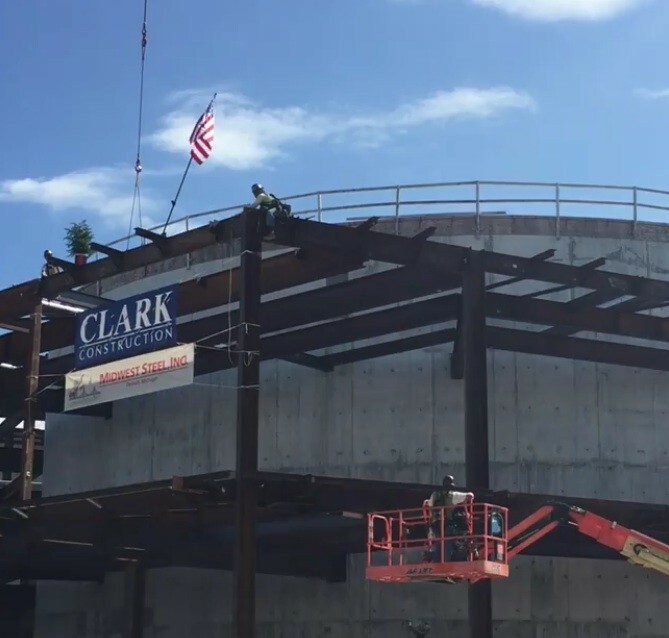 Today, Topping Out indicates a structure has reached its height. 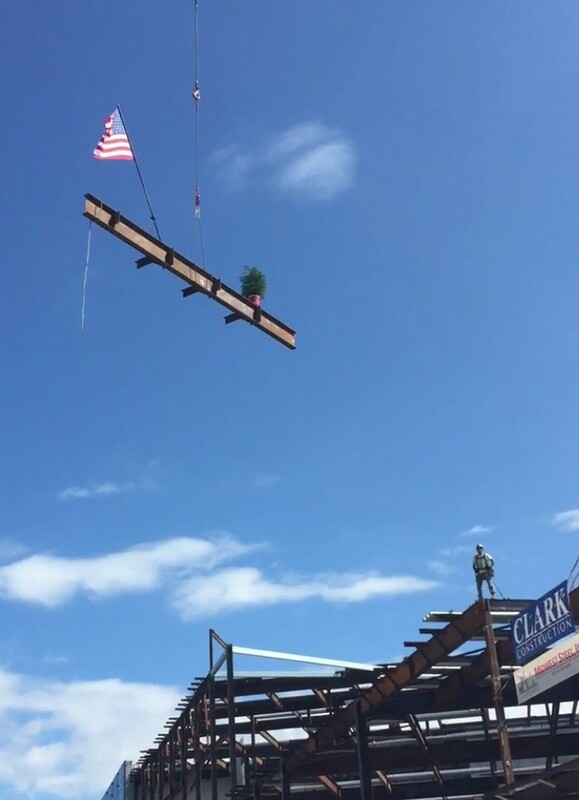 The evergreen tree hoisted with the beam is part of the old tradition that “symbolizes the job went well, good luck for the occupants, and signalizing the start of a completion celebration,” according to Miami Beach Convention Center Project Director Maria Hernandez. An American flag was added to the tradition in the 20th century. 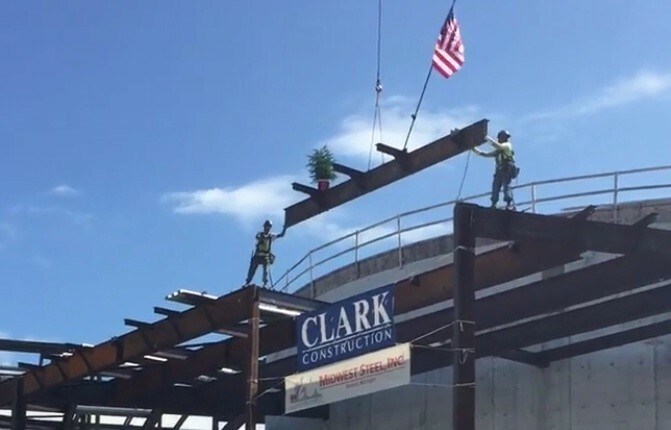 Hernandez said over one hundred ironworkers have been working on the steel structure for the Convention Center, noting the companies that employ them are American, including contractor Clark Construction Group from Bethesda, Maryland; the steel erector, Midwest Steel from Detroit, Michigan; and the steel fabricator, Banker Steel from Lynchburg, Virginia. 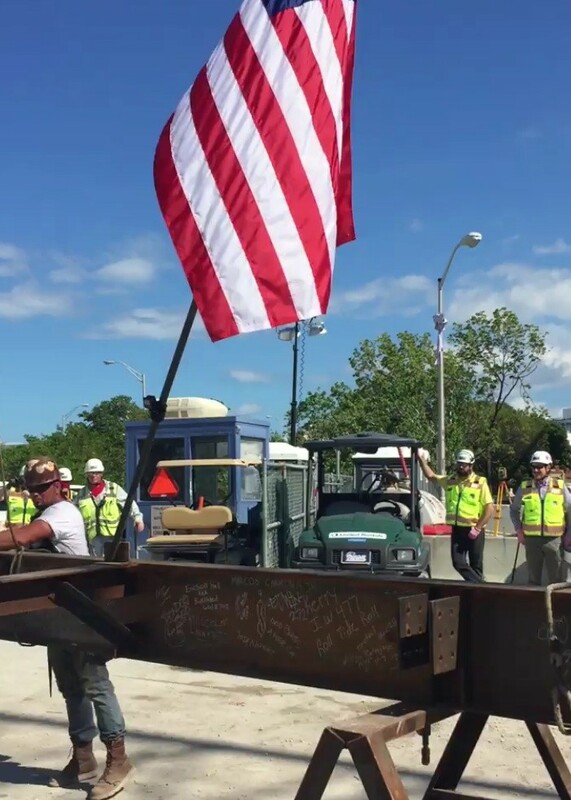 The total amount of structural steel used was over 10,000 tons. 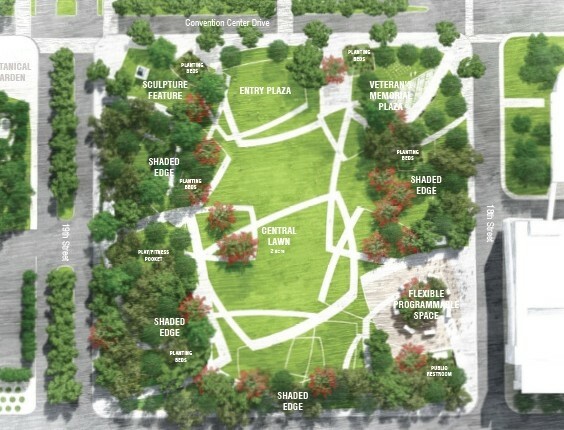 The Convention Center is expected to be completed in August of 2018 though it has continued to host shows in between construction, including Art Basel which will begin load-in later this month, during which time construction will temporarily halt before the final push to the finish.